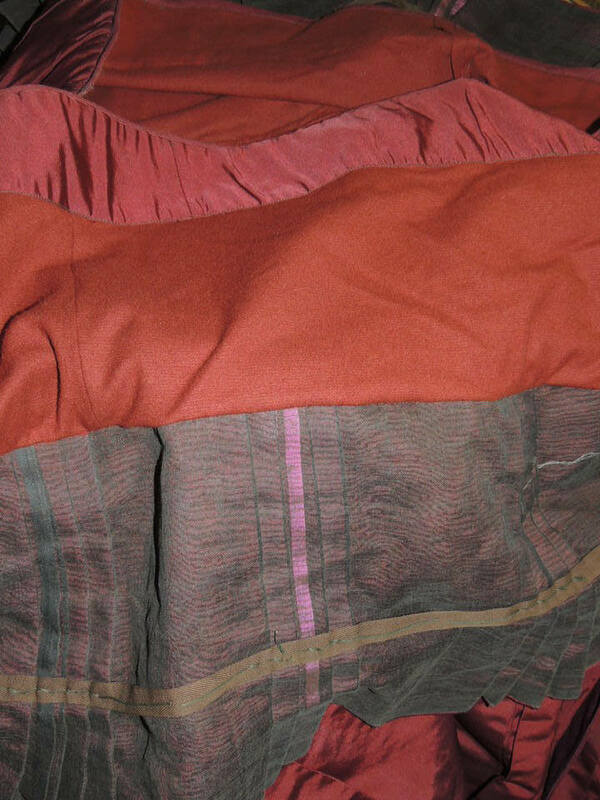 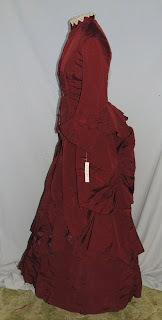 This beautiful 1870's bustle dress is made from a cranberry silk faille. 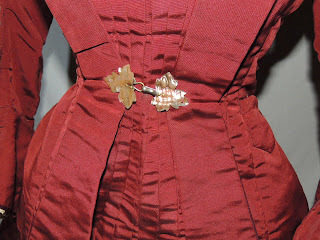 The bodice is lined in a window pane tan cotton and bones in the seams. It hooks down the side front under the pleats, there are 3/4 length sleeves with box plests between flaps and a knotted bow, underneath is ivory lace. 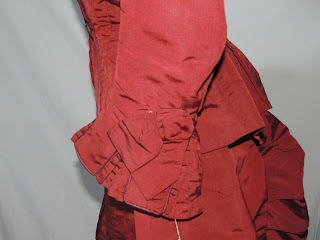 The jacket is piped in a plum silk piping. 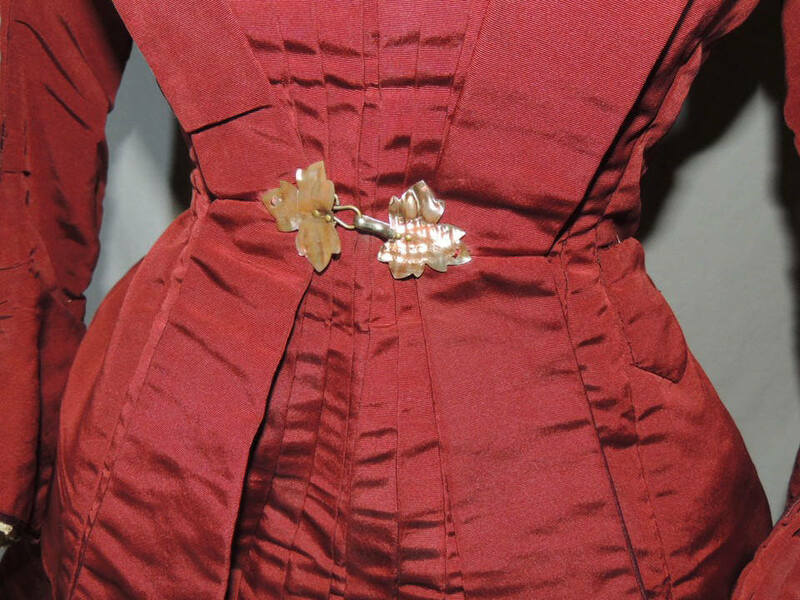 It has a high collar trimmed with lace and a beautiful mother of pearl leaf hook at the waist. The jacket has a layer of batting between the silk and lining for warmth. It has light underarm stains and a few small scattered dark spots. 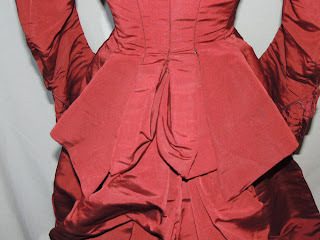 It measures about 33 15/16 around the bust, waist is 24, across the back shoulder is 11 inches, and it's 24 inches long. The pleats in front end about a foot from the hem and curve up in an apron style, around the bottom it's pleated in groups of 4 pleats. 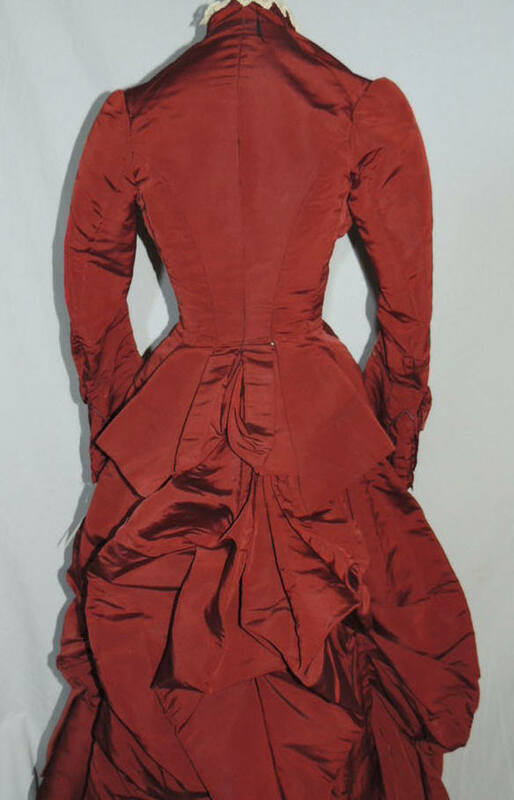 There's knotted bows in plum satin between the pleats in center front that matches the piping on the jacket. It has a twill tape waistband. There's a little shine on some of the high spots and a few slightly darker spots, one fairly large one below the waist on the skirt, bodice mostly covers it. 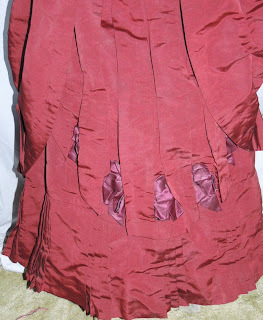 The skirt is lined in burgundy wool trimmed with silk. 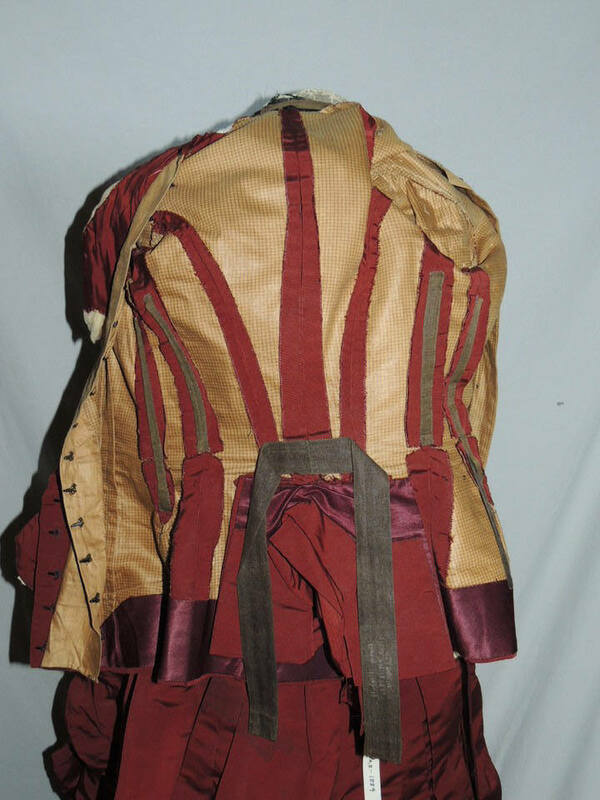 The skirt is pleated in front, it has paniers that drapes on the sides and the back is tucked to form a bustle. 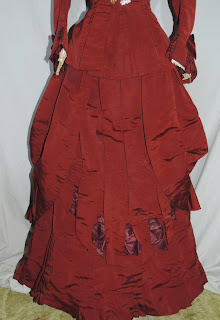 It's 24 inches around the waist and is 40 1/2 inches long. Overall in excellent vintage condition. De-accessioned from a museum and inventory tags are attached. This looks late 1880's to my eye. 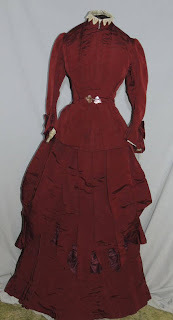 The way the sleeves sit and the neckline are both much more in keeping with the late 1880's.